A cover from Korčula Island in the Adriatic Sea, sent by Dragan Buskulic. On the cover, Dragan affixed three ordinary stamps and one vignette stamp. One of the three stamps and the vignette stamp show the lighthouse of Blitvenica. 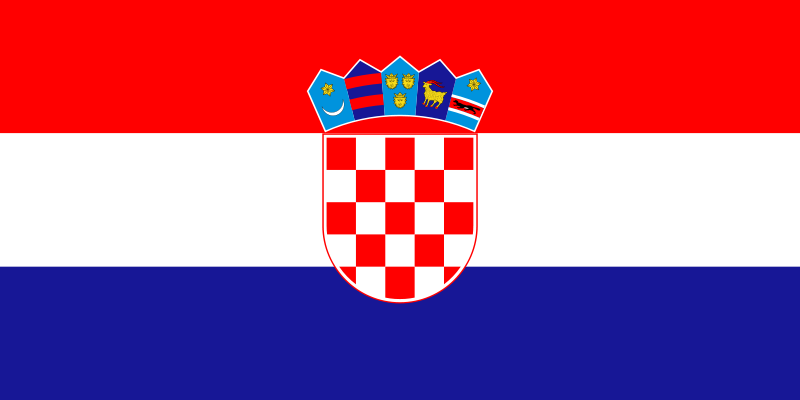 Dragan also decorated the cover with the coat of arm of Korčula and its flag together with the flag of Croatia and the map of the island. 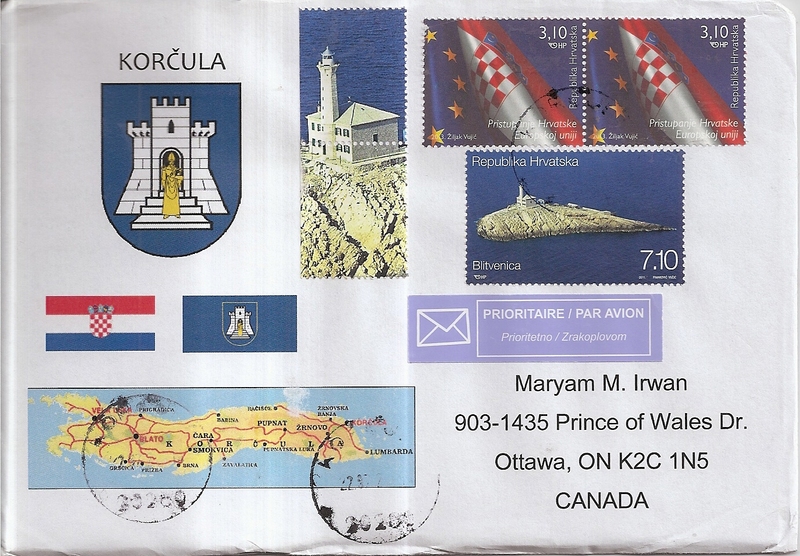 The postmark date is 22 July 2013 and the location is Korčula. Thanks a lot Dragan!